Writer. I use gross exaggeration and blatant stereotyping as literary devices. On November 9th, the FDA will be closing public comments on the issue of whether or not to regulate homeopathic medicine so that it falls in line with FTC truth in advertising guidelines. In other words, claims need to be supported by evidence. I don't know when or what the final decision will be but I'm sharing a personal story in support of these regulations. There is no reason that this multi-billion dollar industry shouldn't be held to the same standards as regular OTC drugs. If my mother were alive today, I'm sure that she and I would be arguing over science issues. She would be anti-GMO, anti-nuclear energy, would probably have a homeopathic doctor and a pantry full of expensive supplements. She was a smart, successful early feminist who also embraced trendy pseudoscience. (She consulted an astrologer for parenting advice.) Unfortunately, she's not alive because colon cancer killed her when she was in her 40s and her anti-science world view sped the process along and made our last few months harder than they needed to be. In 1996, she was diagnosed with stage 4 colon cancer with full liver involvement. Her prognosis was terminal but her oncologist thought that chemotherapy was worth trying in order to buy us some time. After 3 rounds, she opted out of conventional medicine and threw herself headlong into alternative and unproven treatments. I'm under no illusions that conventional medicine could have saved her (a cobblestone street was the way her surgeon described her liver). What I do know is that the next 3 months of our lives were pure hell and they didn't have to be. For the first few weeks after she gave up on traditional medicine, she went the quack route with a doctor in Houston named Stanislaw Burzynski. His clinic took her money and put her on an unproven drug (not even indicated for colon cancer) that was pumped continuously through a port in her chest. She was dark yellow (in liver failure) and retaining so much water from the drug that another doctor had to cut into her skin to drain the fluid. She was clearly dying and I needed to get her back home while she could still ride in a car. As we were leaving, Burzynski looked me in the eye and told me I was killing her by taking her home. The next few weeks were a new kind of hell but this time filled with visits to a holistic nutritionist, Whole Foods (of course), and GNC. She was taking piles of supplements and drinking Essiac tea (more nonsense) while she could still swallow. She became convinced that shark cartilage would save her because of a ridiculous book by a biochemist named William Lane. I don't think the shark cartilage hurt her but it's criminal to me that sharks are being slaughtered so that someone can make money selling something that doesn't work to desperate, dying people. The last 3 months of her life, along with every penny she had, were wasted on the false hope of unproven treatments. She wouldn't take enough pain medication because she was afraid it was toxic to her failing liver, so she suffered a great deal and became irrational and angry toward the end. Someone along the way told her to drink only distilled water so if she suspected I'd made her shakes with regular ice cubes, she'd scream at me. She also would scream if I slept or if she smelled food cooking. The intolerable pain turned her into a stranger. She suffered more than she had to because she wasn't being cared for by a real doctor with years of medical school and experience. She was thrashing around in desperation, clinging to any shred of hope, and in the process found plenty of people and products to give her false hope for the right price. The cruel, convincing promise of a cure is such an easy sell to someone terrified of dying. The last 2 weeks of her life were made tolerable by hospice. They were able to get her pain, rage, and anxiety under control with medication within hours of coming in. I will forever be grateful to them for making the last days relatively peaceful and meaningful for us. I know these FDA regulations won't help with the quacks and predators out there and I don't actually believe that most homeopathic and alternative practitioners are bad people. I think they're coming from an honest place and that they truly believe in their products. All I'm asking is that they back up their claims with evidence. 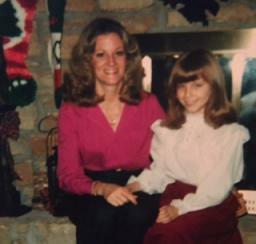 Mom and me(and my bangs) in happier days.